Boulder City’s longtime Christmas tradition, Santa’s Electric Night Parade, is back for another year and will be held on Dec. 1. This year's Santa's Electric Night Parade is scheduled to featured almost 100 different entries including decked out vehicles. The parade is on Saturday, Dec. 1, at 4:30 p.m. in downtown Boulder City. Santa and Mrs. Claus greet the crowd at the 2017 Santa's Electric Night Parade. 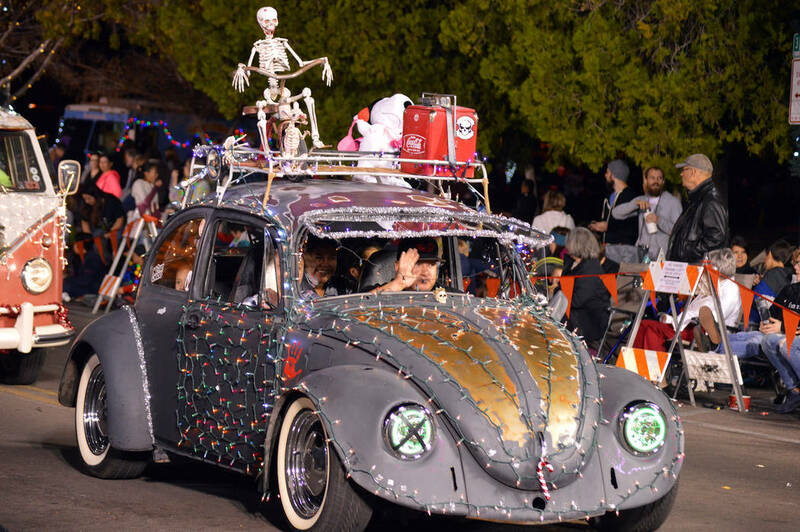 This year's parade is on Saturday, Dec. 1, at 4:30 p.m. in downtown Boulder City. 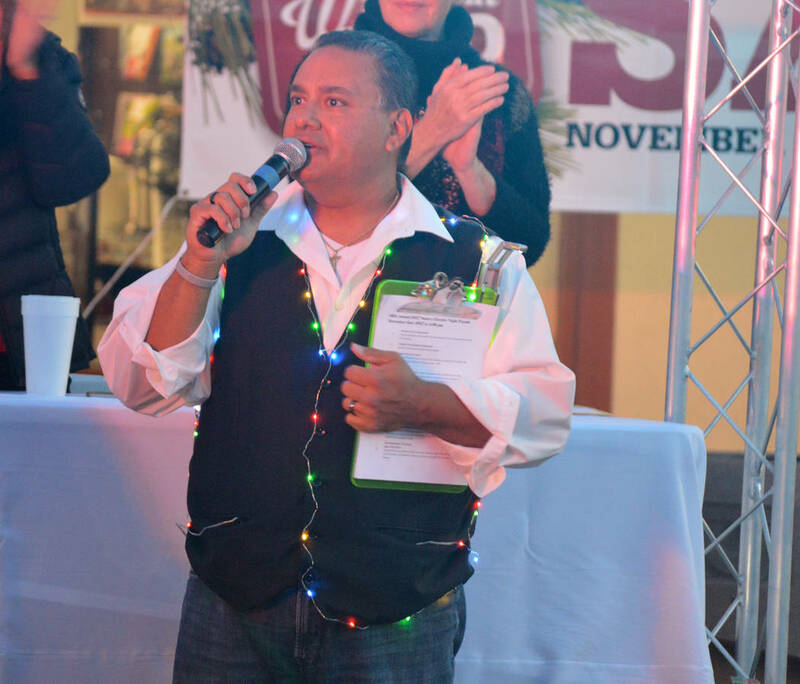 Parade chairman Mike Pacini is scheduled to announce this year's Santa's Electric Night Parade on Saturday, Dec. 1. The parade starts at 4:30 p.m. in downtown Boulder City. 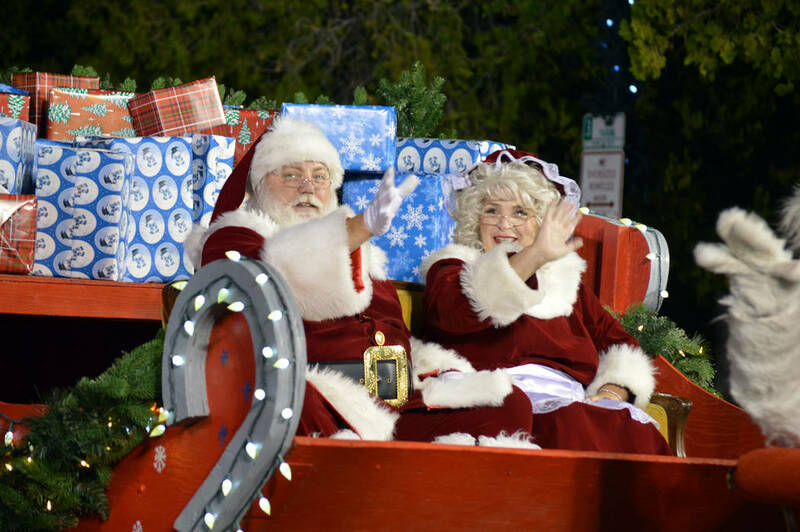 The free event is put on by the Boulder City Chamber of Commerce and features floats, bands, music, entertainment and a visit from special guests, Santa and Mrs. Claus. It is the capstone of the weekend’s Christmas celebration. Chamber CEO Jill Rowland-Lagan said this year’s parade has garnered a lot more interest from Henderson and Las Vegas. The parade starts at 4:30 p.m. on Nevada Way near Wilbur Square Park. It will travel down Nevada Way toward Fifth Street and then continue to Avenue B.
Rowland-Lagan said officials are expecting between 75 and 100 entries in this year’s parade. Last year there were 98. Each entry will be judged during the parade by category: individual adult, individual youth, religious organization, youth group, business, band/marching unit, community organization, motor/car group, dance unit, military/civil group, equestrian and family/club. Winners receive a certificate from the chamber and a gift certificate to a local chamber member business. The parade will be produced again this year by Boulder City resident Mike Pacini, parade chairman. Rowland-Lagan said his crew is essential to making the parade happen. Pacini has been involved with the parade for almost 30 years and hopes that everyone who comes to it and those who participate will receive two hours of magic and a little extra Christmas spirit. Pacini said he remembers going to the parade when he was a child, and now it’s special because his children and other family members help him with it. The grand marshal of the parade this year will be Jamey Hood, principal of Garrett Junior High School. “We wanted to honor her for the multiple generations she’s impacted in the school,” Rowland-Lagan said. “We’re proud and honored to have her as our grand marshal this year,” Pacini said. Buddy the Elf will be in the parade this year and will be walking in front of Santa’s sleigh and announcing him. One change to this year’s parade is that Cox Communications will not be filming it. 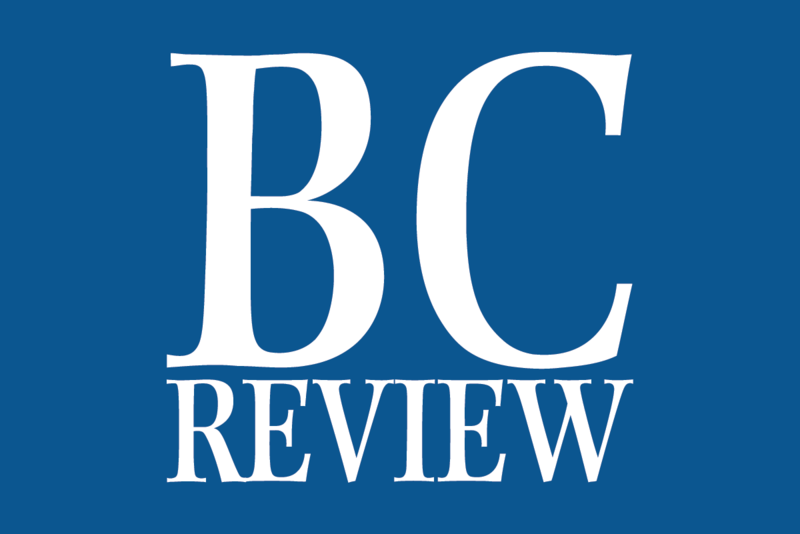 “We will be working with Boulder City TV to air it locally,” Rowland-Lagan said. She said this way it will be easier for the parade to be aired during the holidays, and the lights from the filming will not take away from the effect of the parade. Pacini said it is bittersweet that they won’t be working with Cox, but there are great announcers who will make the parade come alive.